While the most popular and well-known e-readers (like Kindle) tend to dominate the market and the headlines, there are other e-readers available. New ones are coming out all the time, and some of them have unique features or pricing. That may make them worth a look if you’re browsing or doing research before making a buying decision for your next e-reader gadget. Meanwhile researchers are hoping to create the world’s first technology to power e-readers without batteries. The most recent e-book reader from InkBook, called the InkBook Lumos, may be a good choice for those who want to buy an e-reader for less than a hundred bucks. Brand new ones are currently available on Amazon for just $99, plus free shipping, which makes the Lumos a good bargain for a dedicated e-reader. The Lumos offers a glare-free screen and an elegant, paperlike e-ink display, plus it has a front light with color temperature management technology. It’s powered by a dual-core processor and boasts up to three weeks of battery life between charges, depending on how you use it. The device measures slightly larger than six inches by four and a half inches, and weighs 14.2 ounces. There are four gigs of storage capacity, which should be plenty of storage for holding at least 5,000 titles. InkBook e-readers support EPUB format, and are the only ones on the market today that let you utilize EPUB3 formatting, which enables right-to-left reading for languages like Hebrew and Arabic. You can use Android apps to read any book from any library on the InkBook Lumos, and it also is compatible with the popular Kindle app. That means you can use it in conjunction with that app and read any title that you download from the Kindle store. Another new e-reader recently made its debut in Sweden, Denmark, and Finland. The Storytel Reader gives you subscription access to a virtually unlimited number of titles. But there is one big drawback. The Storytel is currently only available in a few countries in northern Europe. But if you happen to live in a Nordic nation, the Storytel Reader features a six inch E Ink Carta display, a high-resolution touchscreen, and page turn keys. Power comes from a 1GHZ processor, paired with 512 gigs of RAM and 8 gigs of internal storage memory. Other features include a front-lit display, a headphone jack, and good battery life. The e-reader sells for about $110. If you visit the Storytel Reader website, you will need to translate it unless you are able to read Nordic languages. That’s because Storytel is a Swedish company, and the entire site is written for native Swedish readers. Tolino Alliance is a company that has a business partnership with Kobo. So it’s not a coincidence that the new Tolino Shine 3e-book reader is very similar to the Kobo Clara HD. In fact, it is essentially a Kobo Clara HD clone, with a 6-inch front-lit screen, adjustable color temperature, and a very lightweight and sleekly portable design. 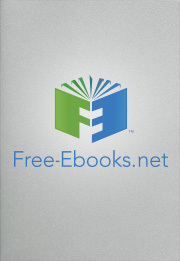 The Shine 3 is another gadget currently only available in some European countries, but if you do live there it gives you access to a large e-book library. There is a Tolino app that makes it easy to synch your books across devices and access them wherever you happen to go, via the Tolino cloud storage facility. Just continue reading from wherever you left off on your other device. The Tolino Shine 3 is priced at about $150. Can You Imagine an E-Reader with No Battery? It sounds far-fetched. But two major companies are working to develop a remarkable kind of electronic paper that doesn’t need battery power. E Ink, which makes great electronic e-book inks, has entered into a creative partnership with Fujitsu, the global photo film and e-book technology leader. They want to create battery-free products including e-readers. For now they are hoping to debut some simpler items like luggage tags, within the next year or two. But it’s not just sci-fi because wireless UHF technology, combined with e-ink, is already used in the logistics, supply chain, and manufacturing sector. The next big innovation for the e-reader world may be the introduction of e-readers that you never have to plug in or recharge.